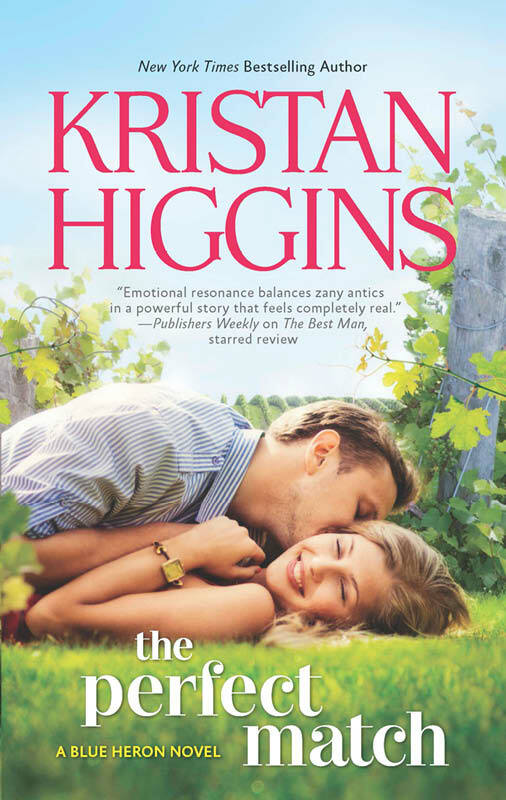 Tuesday’s Revolving Book is the romantic comedy THE PERFECT MATCH by New York Times and USA Today best selling author KRISTAN HIGGINS. Zingy dialog and hilarious asides…pair with thoroughly appealing characters and plenty of Finger Lake country charm to make this refreshing riff on the classic marriage-of-convenience plot a delightfully unorthodox, captivating winner. The revelation of truly human emotions and pains make [Tom and Honor] characters to root for. You will find yourself laughing out loud…This author brings it all. Honor Holland has just been unceremoniously rejected by her lifelong crush. And now—a mere three weeks later—Mr. Perfect is engaged to her best friend. But resilient, reliable Honor is going to pick herself up, dust herself off and get back out there…or she would if dating in Manningsport, NY, population 715, wasn’t easier said than done.